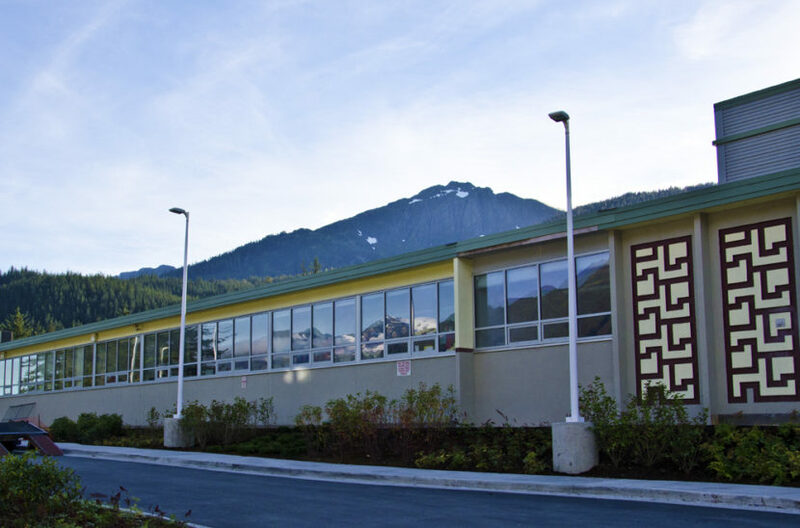 The Douglas Indian Association said the word reflects the original Tlingit name of the land the school stands on and a need to acknowledge historical trauma the T’aaku Kwáan of Douglas Island experienced. Several Tlingit community members at the Juneau School Board meeting asked the board to go further. Some suggested simply changing Gastineau’s name to Sayéik. The board ultimately decided to augment the name. Douglas Indian Association Vice President Paul Marks, or Kinkaduneek of the Lukaaxh.ádi clan, spoke during public comment and said emphasizing Sayéik would be more meaningful for students and the community. The idea to change the school’s name first came up in 2012, when workers renovating Gastineau unexpectedly unearthed the remains of five people buried on the grounds. Gastineau was built on the site of a T’aaku Kwáan graveyard in 1957. Construction was halted, the remains were reinterred elsewhere and the city asked the Douglas Indian Association to choose a name to better reflect the site’s history. The association finally brought their suggestion back in August. Barbara Cadiente-Nelson coordinates Juneau schools’ K-12 Native Student Success program and is an executive member of the Douglas Indian Association. She said the tribe considered several names, but ultimately settled on Sayéik. She said elders who first responded to the unearthing of the graves did not want the incident to be forgotten. Juneau Schools Director of Teacher and Learning Support Ted Wilson said the school’s website and signage will be updated to reflect the new name. But the school nameplate may take a bit longer. “Because that is concrete, so I don’t know what they’re going to do about that at this point,” Wilson said. A renaming ceremony is expected to take place sometime in the spring.